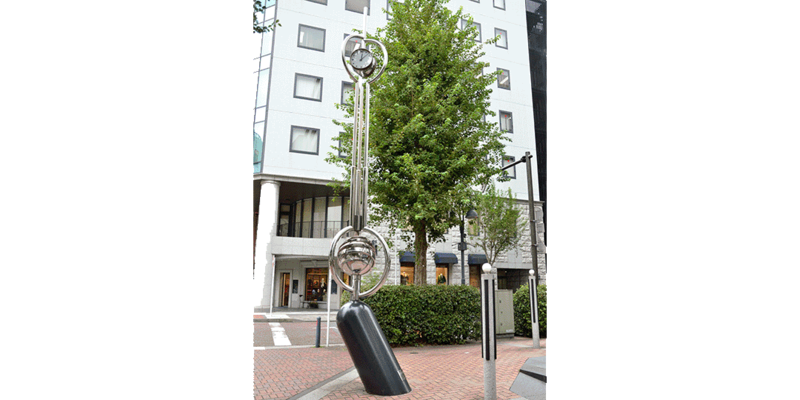 [Historical stroll in Bashamichi] Let's go find Meiji Modern public arts having the atmosphere that brings Western Europe to your mind. Bashamichi, where has aggressively absorbed Western European culture since opening Yokohama port. The breath of people who touched the new culture earlier than anyone in Japan has been handed down to the present age, and the streets are full of various cultural monuments. In Bashamichi with the history of 150 years, painted tiles, manholes, benches, stools, and other works by prominent artists that leave the scent of blending of Japanese and Western styles in the old times, are built on the street corner, which you can also enjoy as if you were in a museum, simply by strolling. The name of the Bashamichi comes from the street where foreigners who lived in the settlement were using horse-drawn carriages. 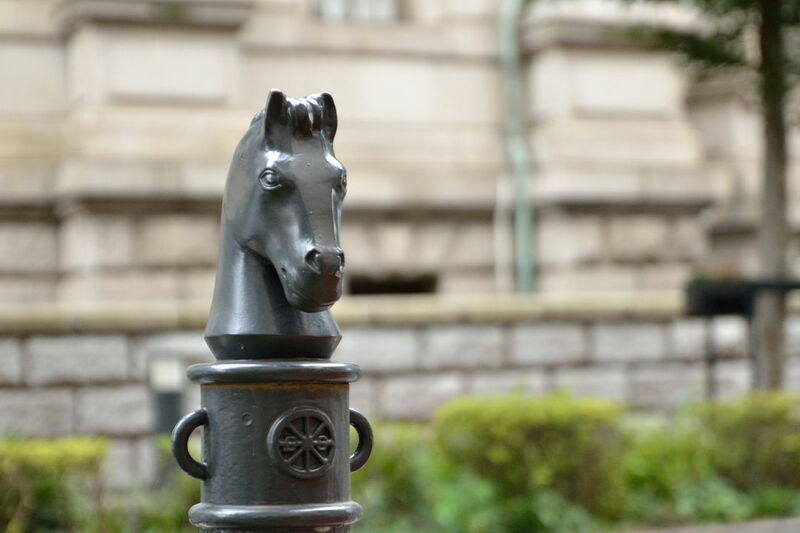 Horse-drawn carriages were new to the Japanese at the time, and one day this place became to be called Bashamichi . Currently, horse-drawn carriages do not run any more, but they are still in existence in this way. 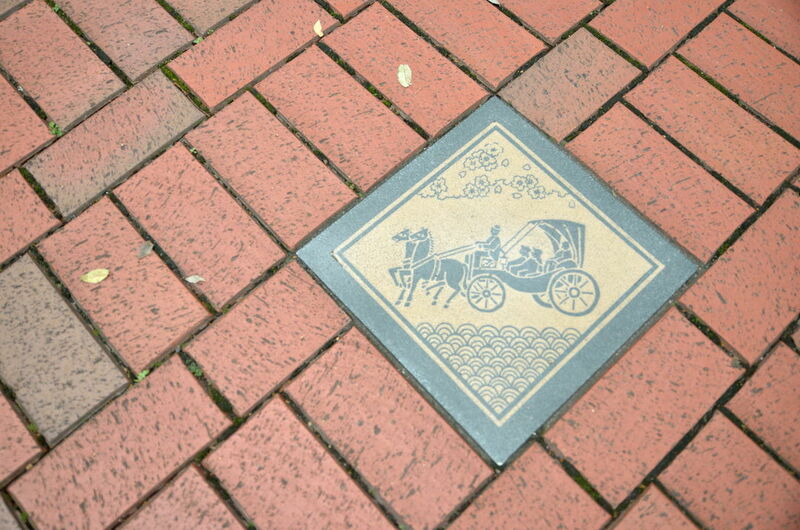 On the sidewalk paved with bricks, tiles painted with horse-drawn carriages are embedded at regular intervals, creating the atmosphere which is reflective of Bashamichi. 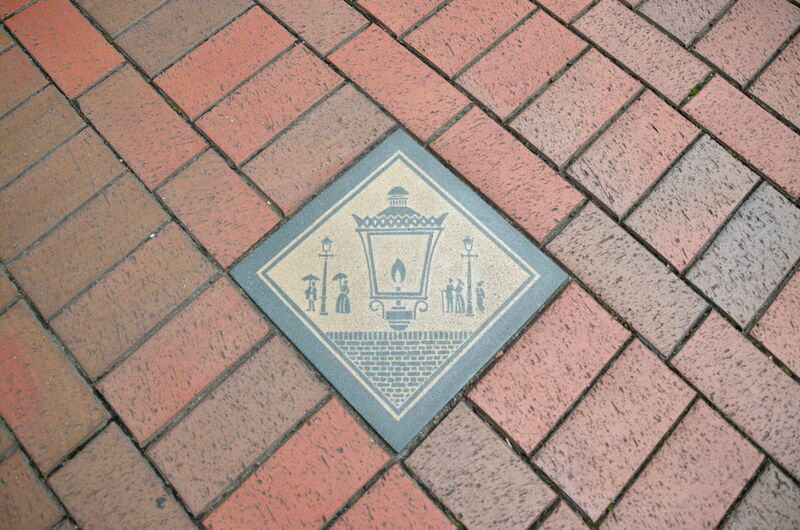 Also depicted in the manholes is the symbol mark of the Bashamichi shopping street. 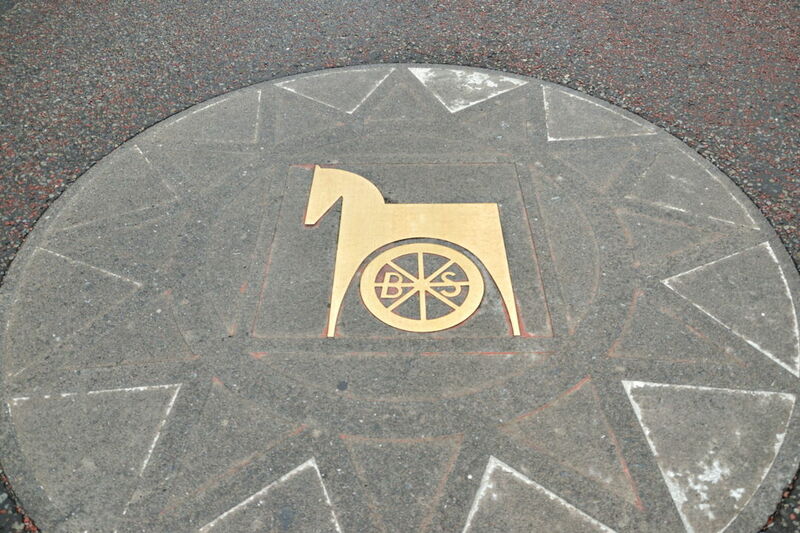 Marks designed with horses and wheels can be seen throughout the street, but please do not miss also below. Such a relief is set also in the roadway, and the presentation which makes us feel the atmosphere of Bashamichi is given everywhere. The tiles are painted with the design of the horse-drawn carriage as well as the design of the gas lamp, since this is the place where the gas lamp as the business was built for the first time in the country. Even now still a lot of gas lamps are standing along the path of the Bashamichi shopping street, and surprisingly all are active. They are not only formally gas lamps, but also are still actually lighting a fire with gas. Like painted tiles and manholes, bench and stool are often seen when wandering around brick-made Bashamichi. 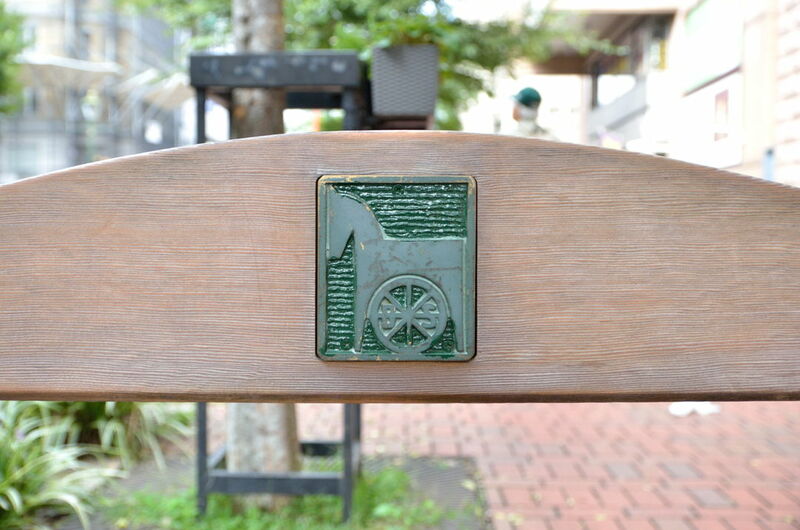 The bench is a combination of green metal and wood, having a retro image which matches the atmosphere of Bashamichi. 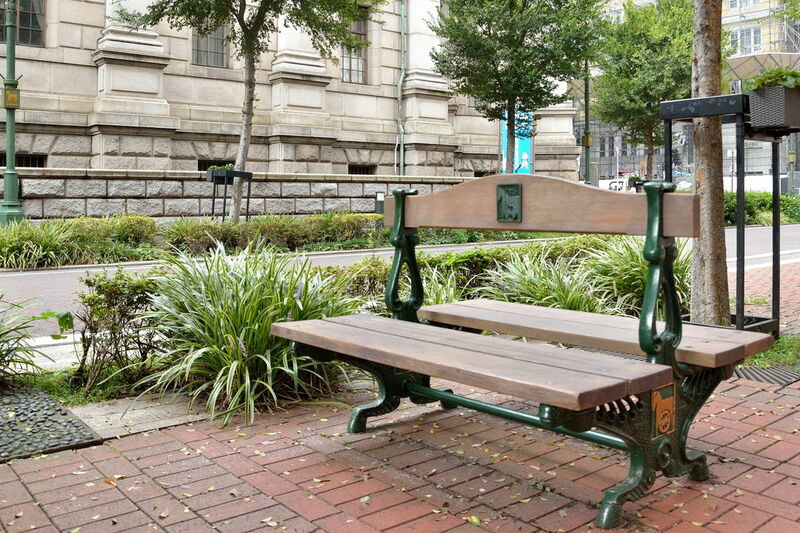 Of course, since it is a practical item, there are many people who use them to sit for a short break. 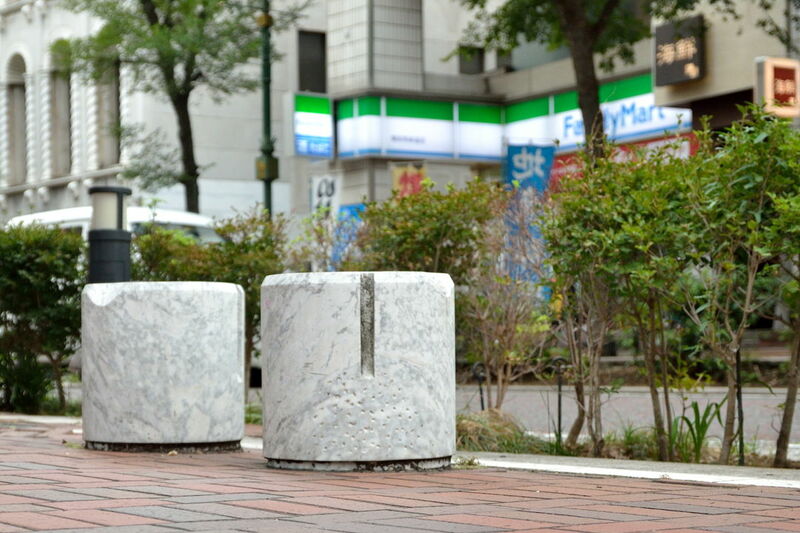 Its backrest has the symbol mark of Bashamichi, bringing us the united feeling of the surrounding scenery. There is also a seat for one person. It has a simple design that makes use of the stone pattern, creating an artistic atmosphere rather than a nostalgia atmosphere. These also seem to be responsible for making landscapes unique to Bashamichi that tells the good old Yokohama. Well, let's introduce the works made by artists from now on. 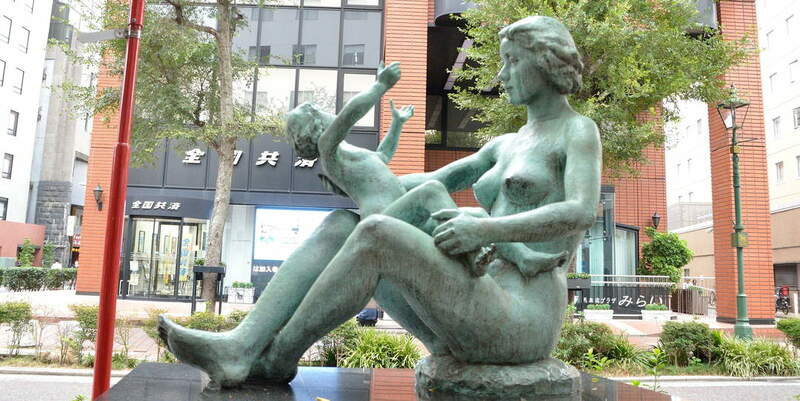 First of all, it is the statue of ""Mother and Child of the Sun"", which is also one of the symbols of Bashamichi. 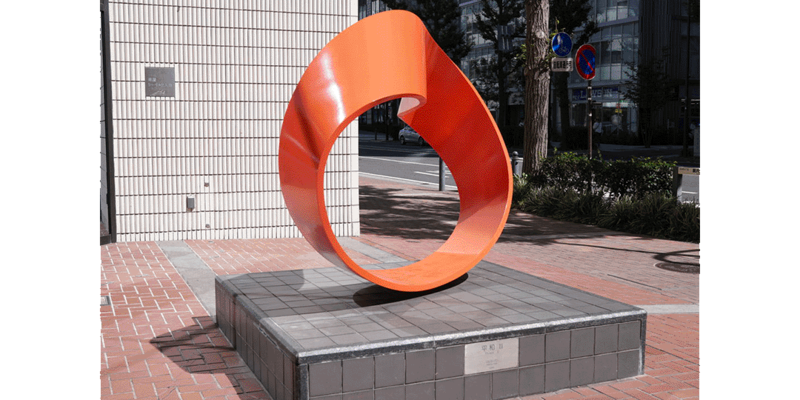 It is a work made by Mr. Shin Hongo, a sculptor born in Sapporo city, and it has been exhibited in this place since 1976. Actually this statue is deeply involved with an ice cream. As a gateway to Japan, there are many things called ""First in Japan"" in Bashamichi where many Western cultures that had never been before came in, and an ice cream is one of them. 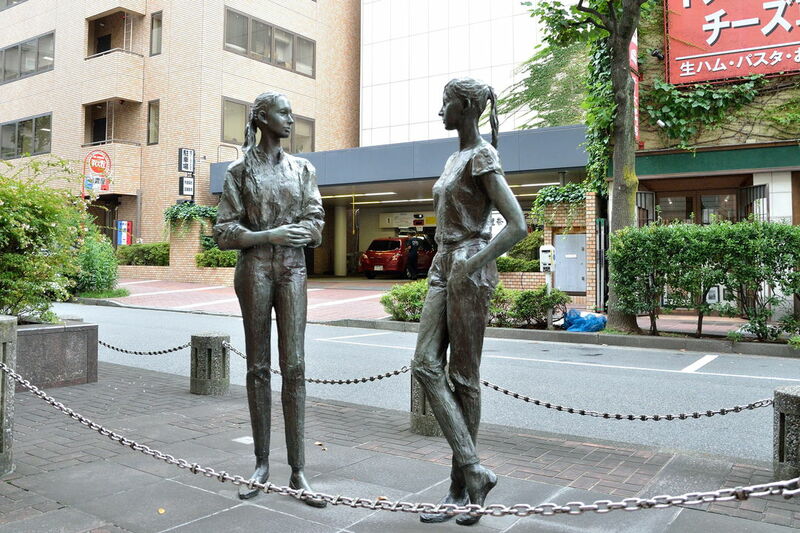 It is said that the statue was donated by the Japan Ice Cream Association in commemoration of the fact that the first ice cream in Japan was manufactured and sold under the name of ""Aisukurin"" in 1869. 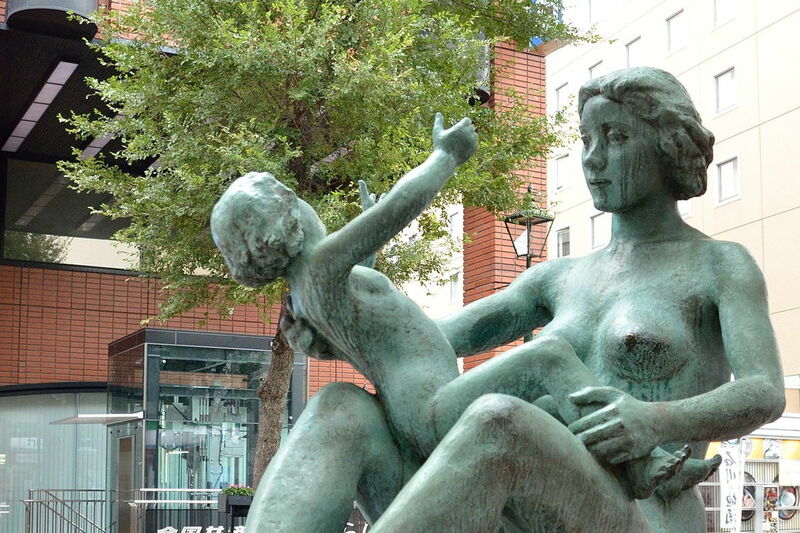 It is a bronze statue of a mother with a touching merciful looking at her child, and it is said that it was produced associating milk which is an ingredient of an ice cream with the mother breastfeeding her child. A street corner is a museum! ? There are also modern art works. 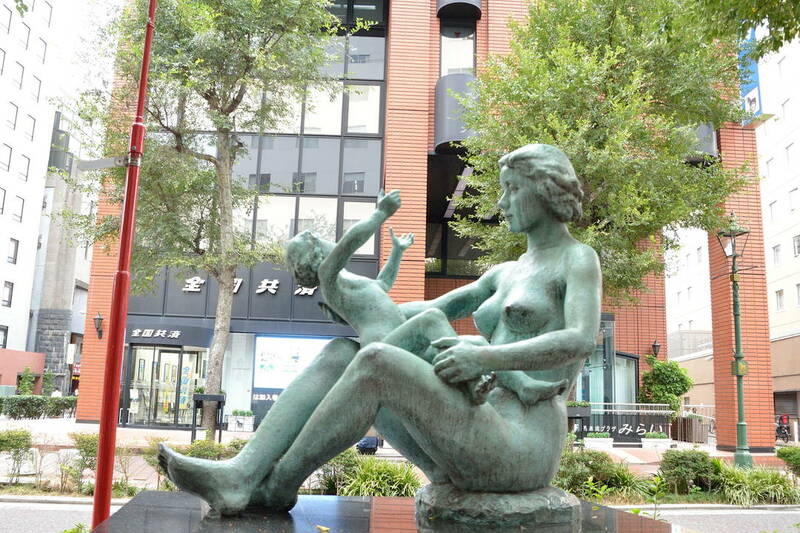 The classical bronze statues match Bashamichi with a retro atmosphere, but it's good for Bashamichi not only to cherish old times but also to incorporate new things. The street is dotted with more modern public arts. One of them is ""Time guard at the beach (Hama no Tokimori)"", a work by Mr. Shinken Kodama. 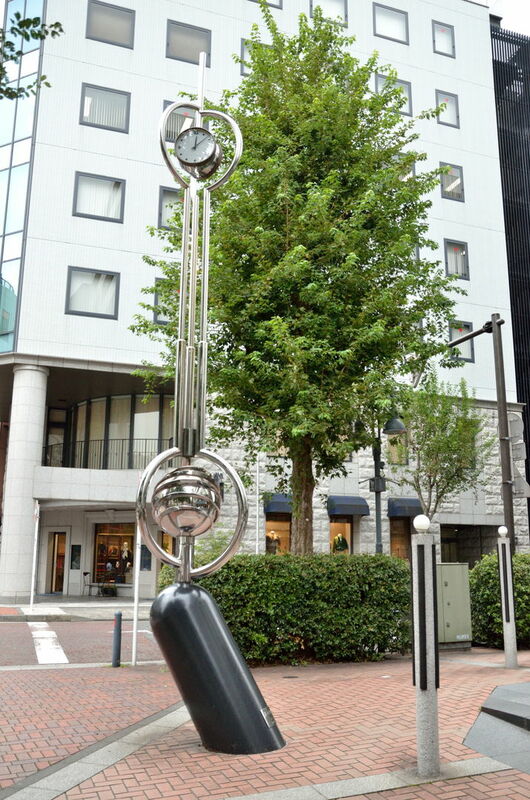 It is a monument clock made of stainless steel, and a clock is attached to the top. Although it is a work made in 1988, it is a design that makes us feel the future, and the high practicality that it is also a clock has a different taste than a simple art work. 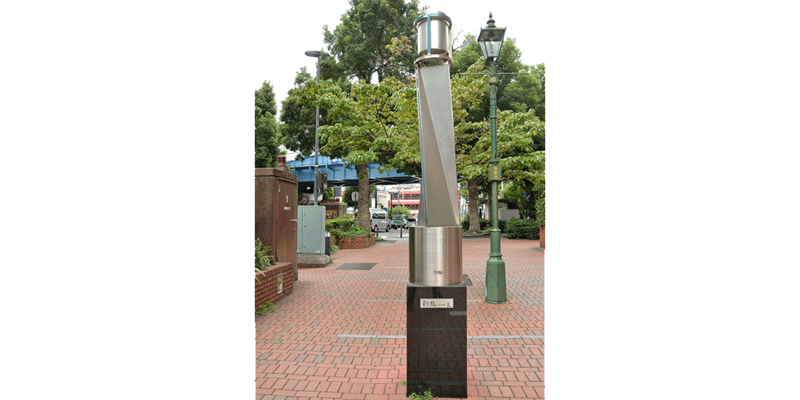 This ""New Wind (Shinpu)"" is a work made in 1977 by Mr. Jyo Oda, an international metal molding artist. 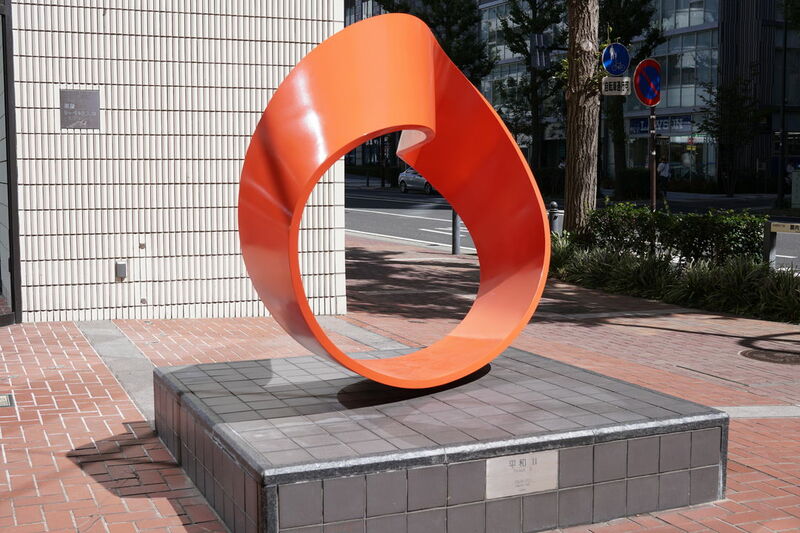 In commemoration of the 50th anniversary of the establishment of Yokohama Rotary Club, it is exhibited in Bashamichi Square on Bashamichi street near Kannai Station . 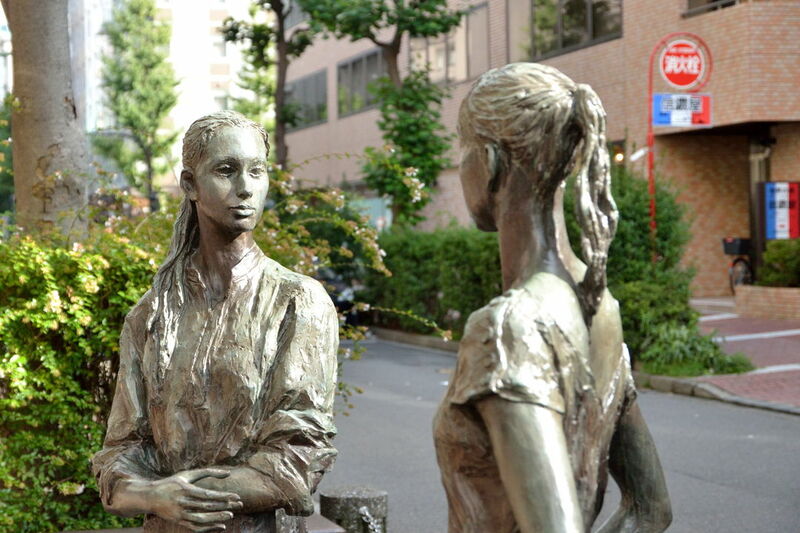 Therefore, it is also the first public art that welcomes people strolling around the street. Not a few people visiting Bashamichi look forward to many events held Kannai hall. 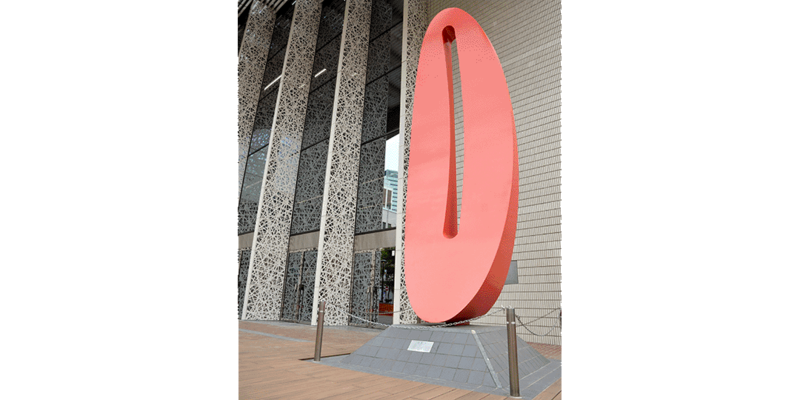 Public arts which you should not miss out also are located in the vicinity of Kannai hall. The one standing in front of the entrance of Kannai hall is ""Peace I"". 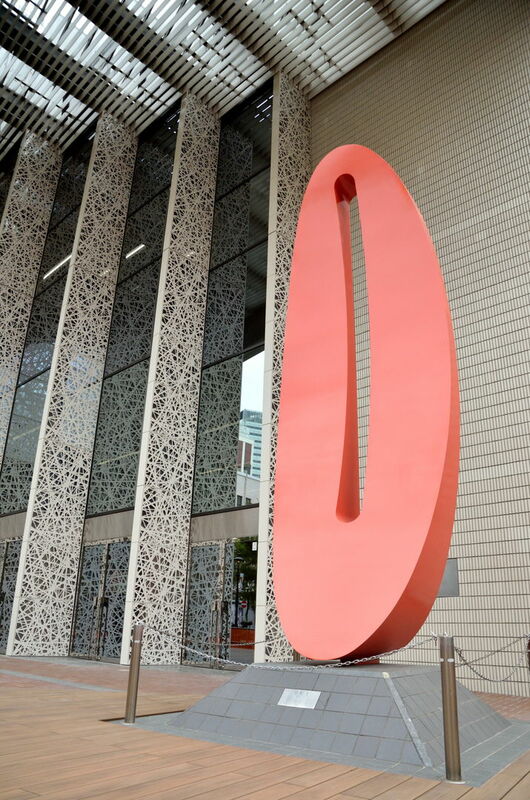 In addition, there is "Peace II" in front of the dressing room behind Kannai hall. Both are works of Ms. Marta Pan, a French female artist born in Hungary. She is known as the artist who won the thirteenth Praemium Imperiale, Sculpture Category, and leaves works in the Tokyo Metropolitan Government Office and the Hakone Open-Air Museum in Japan as well. Kannai hall used to be a theatre and cinema called Yokohama Takarazuka Theater, but it was rebuilt into its current appearance in 1986, and also these works were produced and exhibited at that time. 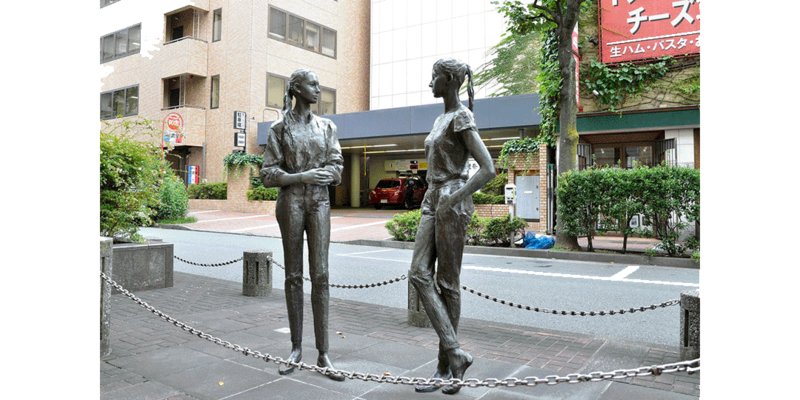 There is also the statue of ""Nike and Nicola"" on the right side of Kannai hall, along Irifune street. 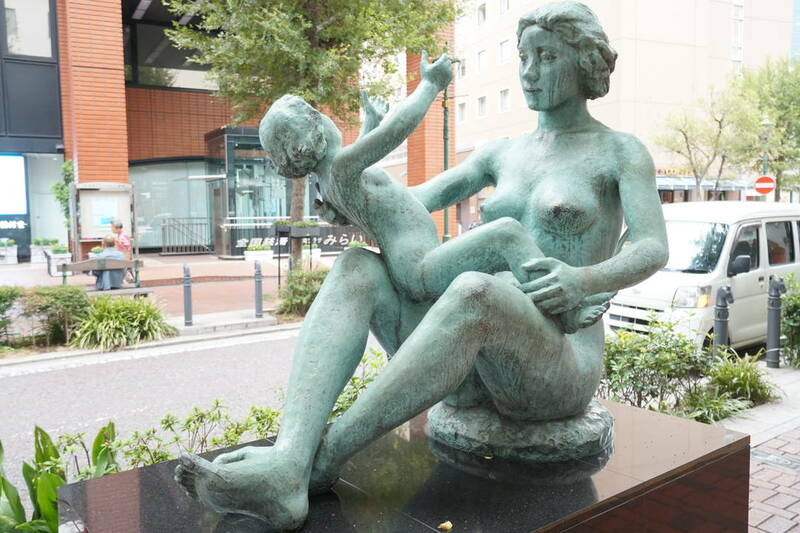 This work was also exhibited in commemoration of Kannai hall completion in 1986, which is made by Ms. Kyoko Asakura, the second daughter of Fumio Asakura , who was reputed to be Rodin in the East. Two girls talking on the street corner are standing as if they were blending with the landscape of the city, having a presence. 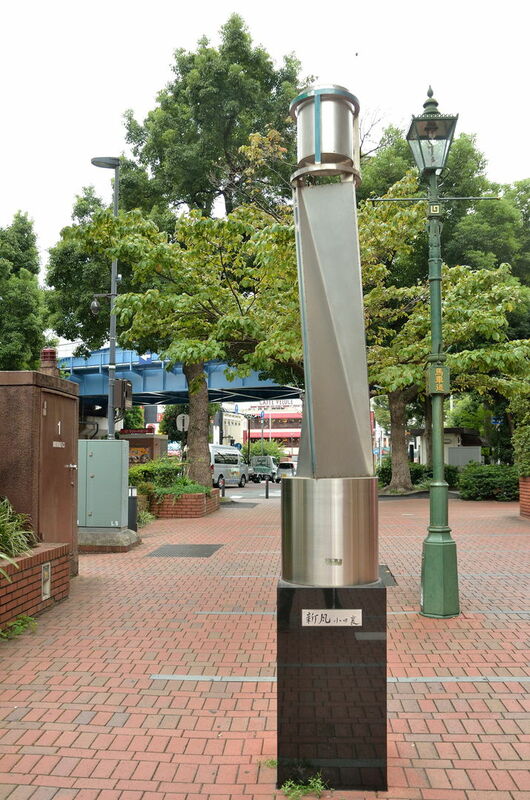 Well, lastly, let's go back to the public art that is just like a Bashamichi style. Such a pole is built at the boundary between the roadway of Bashamichi street and the sidewalk made of bricks. 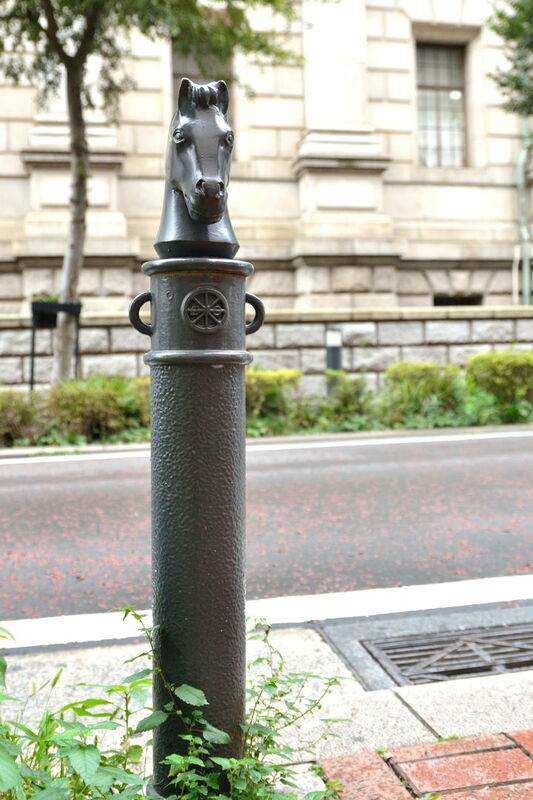 As the name suggests, Bashamichi is related to horses, but surprisingly there are not many things in the motif of a real single horse. 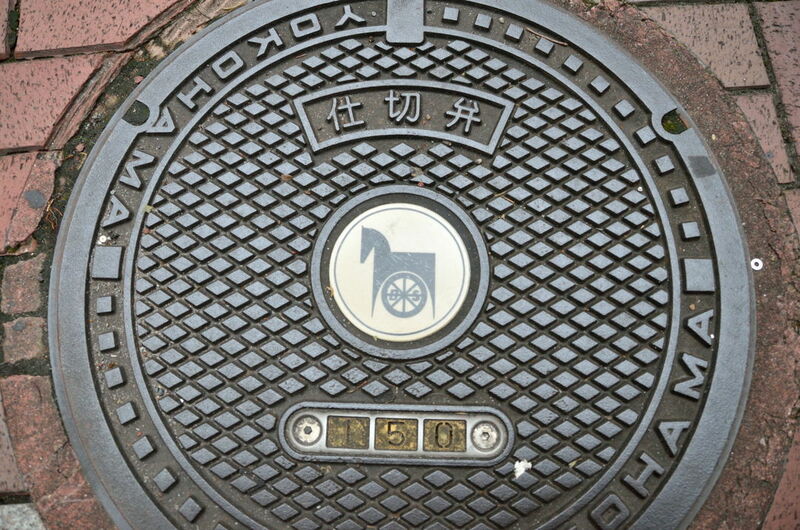 The symbol marks are also with the designed horses, but the designs featuring real horses are limited. Horses which were also given the role of planting protection keep looking at the people walking on the sidewalk warmly day after day. As introduced, Bashamichi is a place where you can meet a lot of arts simply by taking a walk. In addition to what were covered here, there are many other artworks and memorials, showing 150 years of history and high cultural level. When visiting Bashamichi, how about enjoying not only the place you want to go, but also the way to get there. We will promise you that the simple moving should be a richer time.